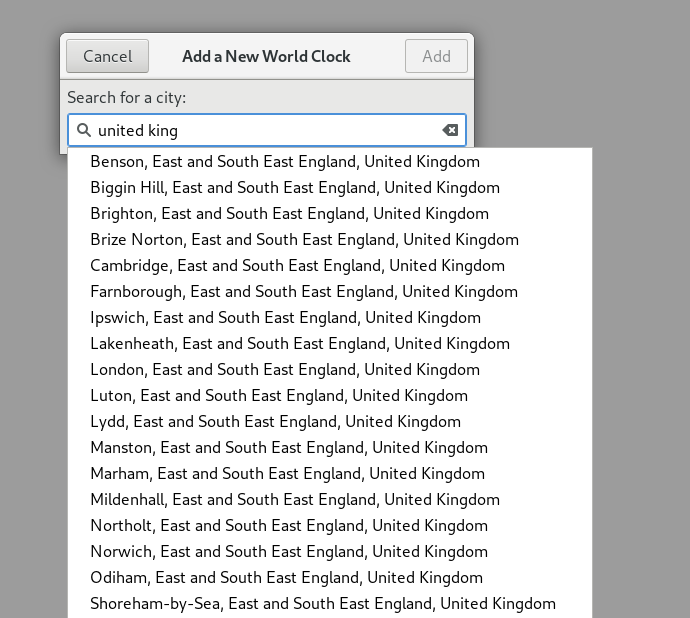 Why does the world clock have so many options for UK-based clocks , when the whole UK is on one time zone? Can this be reduced or edited? (I would prefer London,UK, over London, South and South East England, UK) ? F29S server KDE/GNOME does not see such problems. What is your current GUI? Is there a time zone you want to set up? F29 Sever In KDE, my settings are only visible in London. It may be a bug depending on the time setting or GUI. I do not think you can see more information if you change the setting for that region. If the status is up-to-date, I will add related update! !